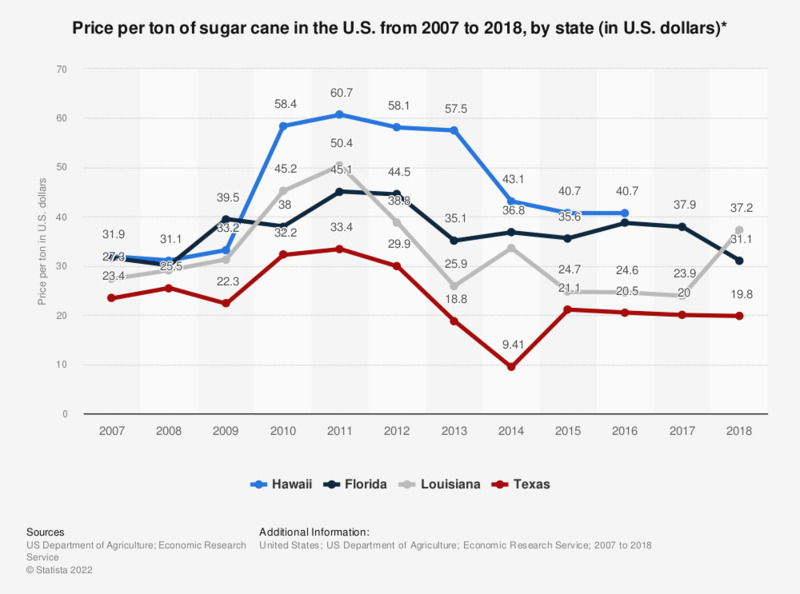 This statistic shows the price per ton of sugar cane in the U.S. from 2007 to 2016, by state. In 2014, one ton of sugar cane in Hawaii was worth 43.1 U.S. dollars. In 2024, the global price for one pound of sugar is expected to reach approximately 0.22 U.S. dollars. * Price per ton of cane for sugar used in evaluating value of production for seed.